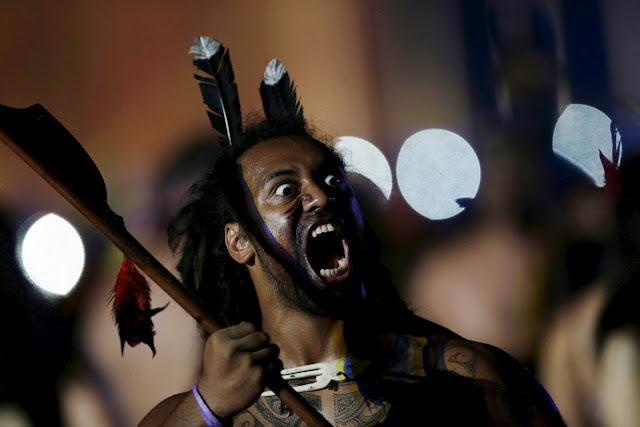 The protesters, a boisterous crowd made up mostly of native Brazilians in traditional dress, were outraged over a land demarcation proposal that they say would be catastrophic for Brazil's 300 or so surviving tribes.The proposed constitutional amendment would transfer the right to demarcate indigenous lands from the executive branch to Brazil's Congress, which is heavily influenced by the powerful big agriculture lobby that has fought against indigenous reserves in the past. 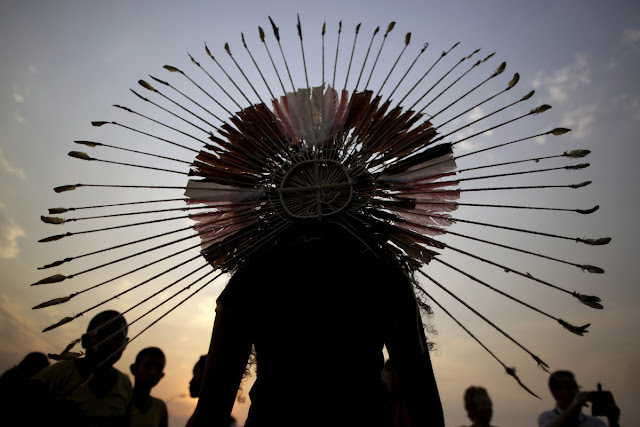 The announcer initially ignored the mass of protesters -- although, dressed in feathers body paint, with some brandishing spears or bows and arrows, they proved impossible to ignore. "When we were here at the games, they were there in Congress plotting to steal our lands," she yelled. 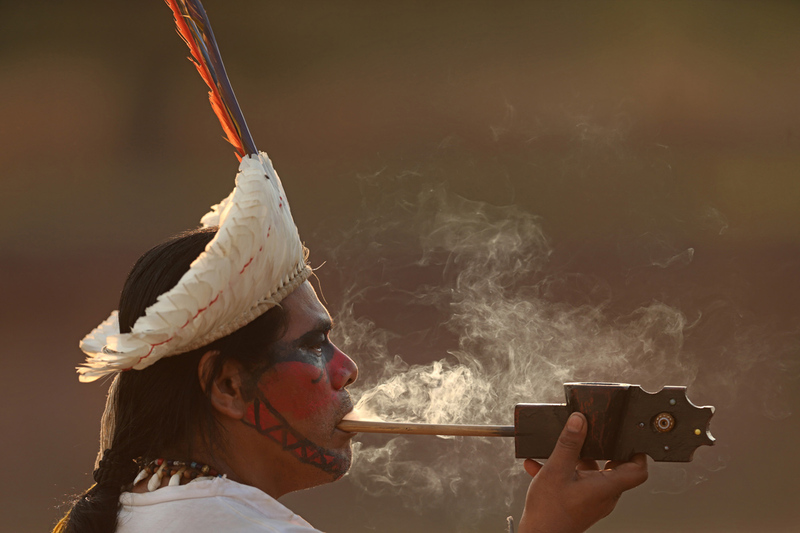 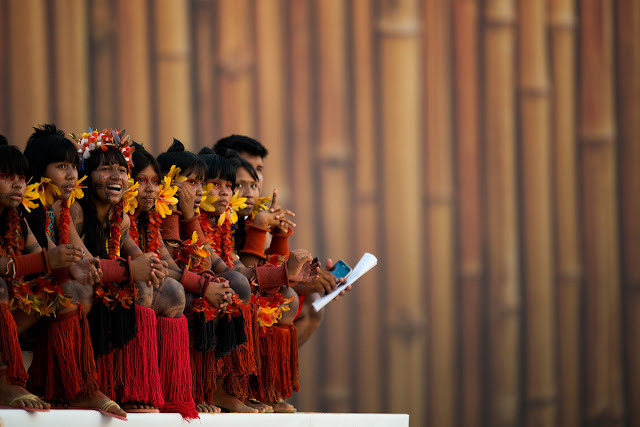 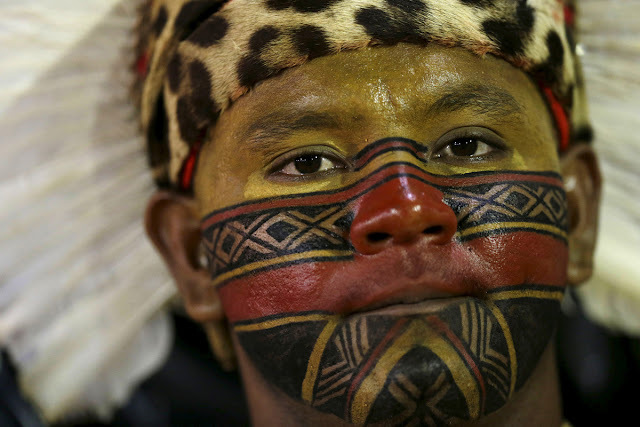 "Soon, there will be no more indigenous peoples, no more forest, no more animals." Native Americans from USA supported the indigenous demonstrators. 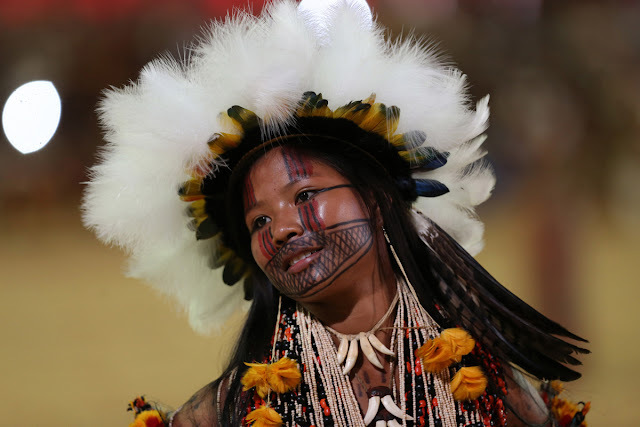 Participants included some 2,000 athletes who came from around the world and included dozens of Brazilian ethnicities, as well as people from such far-flung nations such as Ethiopia and New Zealand. 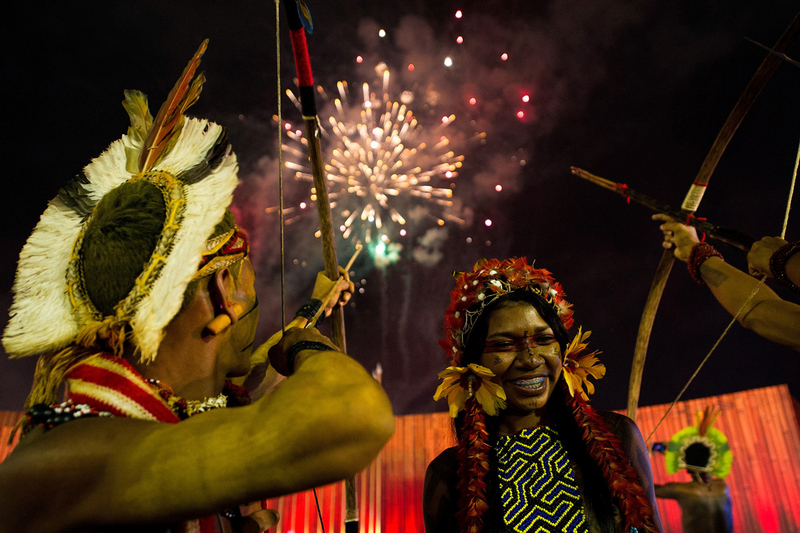 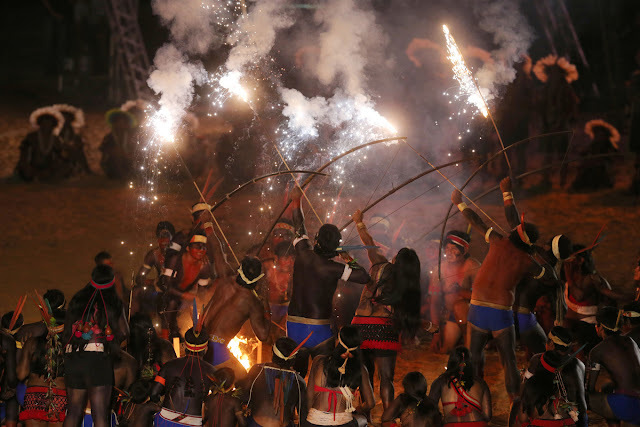 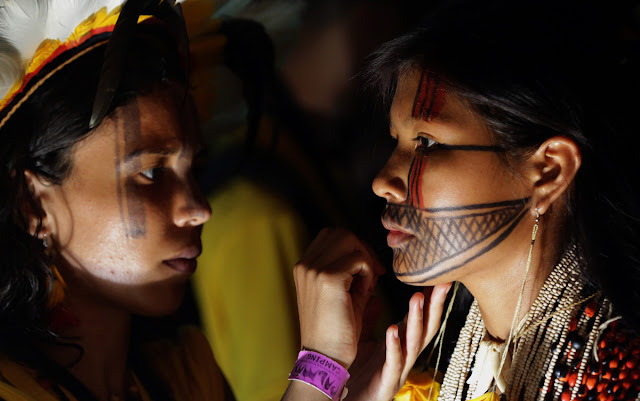 The protest over the land demarcation proposal came after a protest during the previous week by a small group of Brazilian indigenous people who denounced what they said was poor organization and unnecessary spending on Brazil's World Indigenous Games. 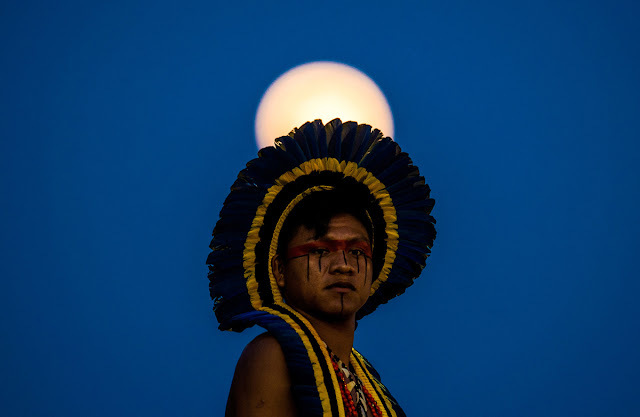 They claimed the money would have been better spent improving the conditions of Brazil's impoverished indigenous peoples. 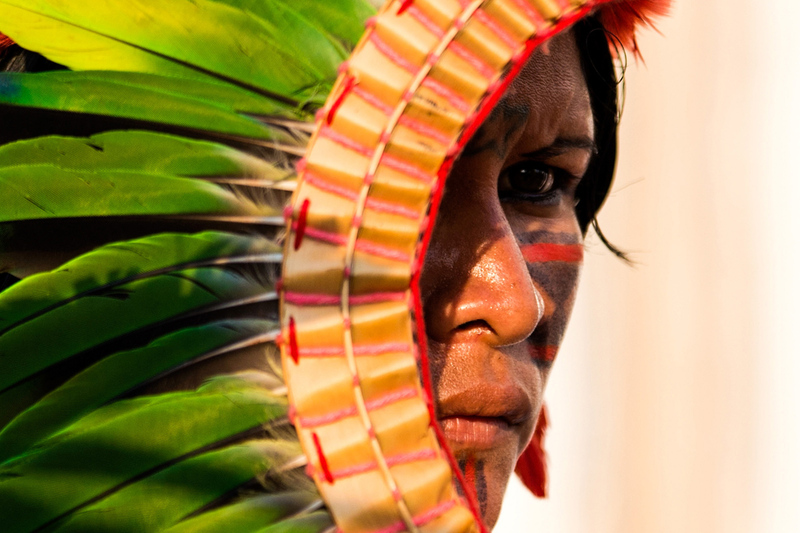 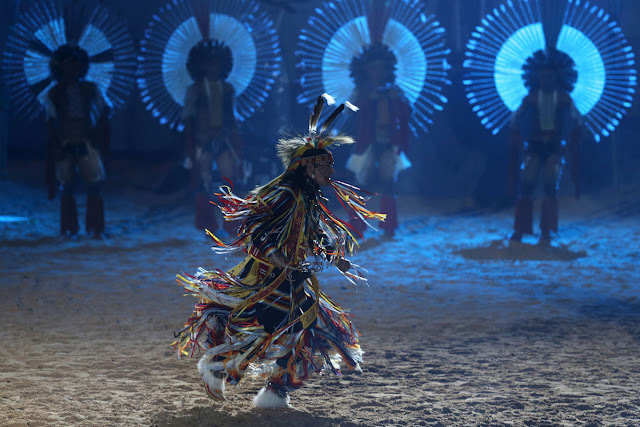 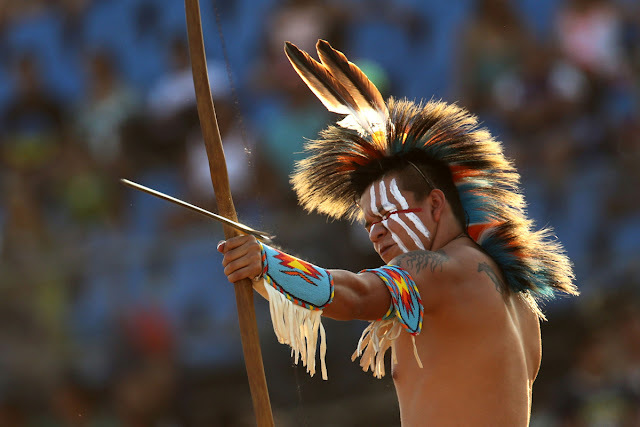 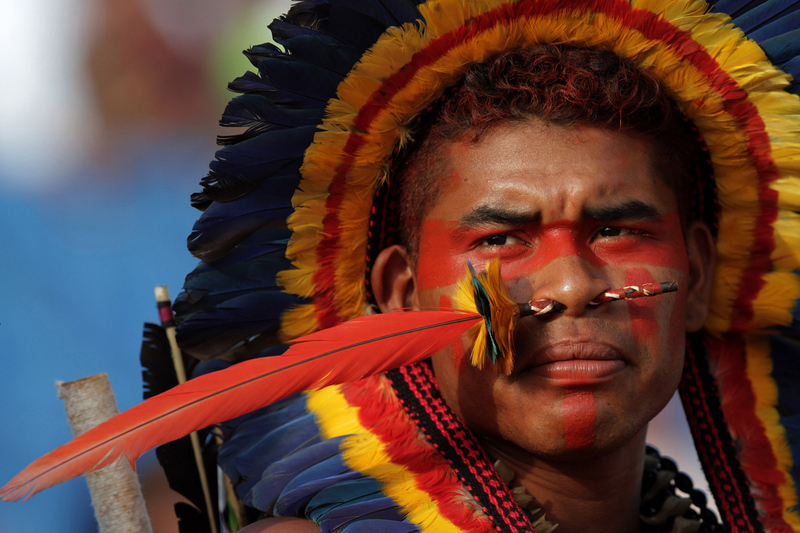 Responses to "Indigenous protesters shut down Brazil's World Indigenous Games"